I just read this article and thought you might want to give it a read, too. It\'s called Europe’s 5 best ski towns and you can find it here https://www.orbitz.com/blog/2018/11/europes-5-best-ski-towns/. 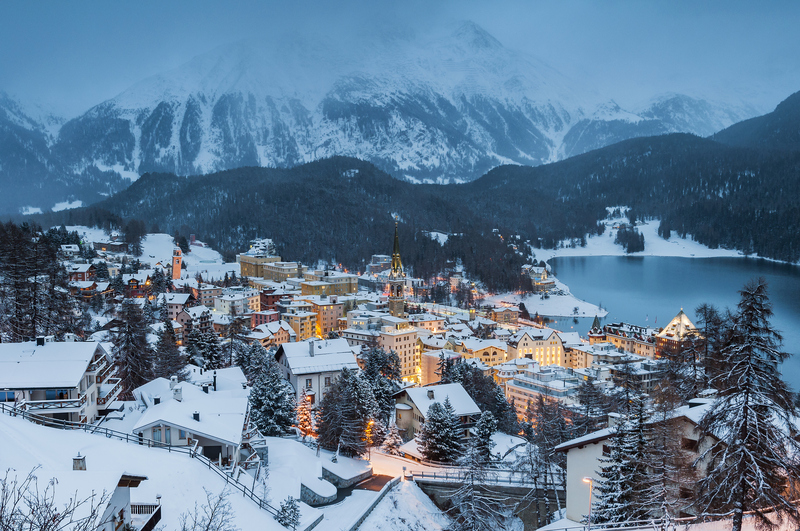 Part of the beauty of skiing or snowboarding in the Alps, beyond the incredible mountain views and long runs, is staying in a picturesque historic mountain village and eating in family-owned restaurants. If you’ve got ski plans this winter, consider one of these destinations that offers something for everybody—from beginner to adrenaline junkie—and enough off-slope activities (think hot air ballooning and indoor rock-climbing) to take a day away from the snow and not feel as though you are deprived. 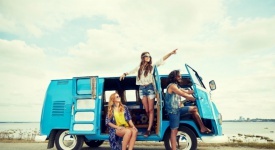 Best of all, each of these resort areas is easy to reach by train or bus. 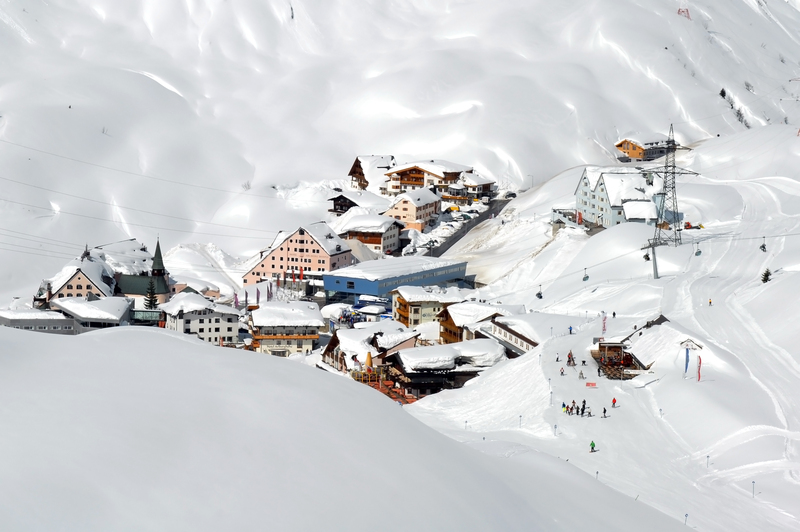 St. Anton is in one of Austria’s largest lift-linked areas, Ski Arlberg, which features nearly 200 miles of marked runs, more than 100 miles of off-piste, and more than 80 chairlifts, gondolas and cable cars on a single ticket. 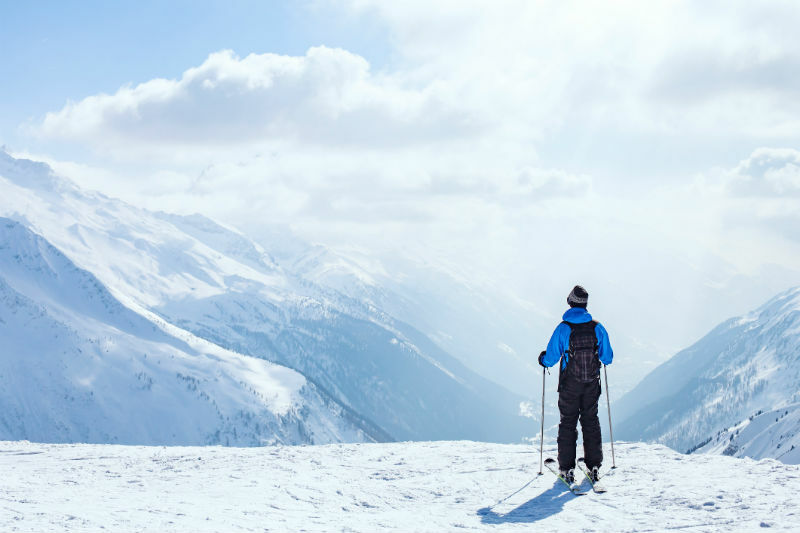 A region this big offers something for everybody, and even if you never ski over to neighboring towns, St. Christoph, Lech and Zurs, there’s plenty of terrain and ambiance to keep you happy close to home. Experts can opt for the Run of Fame, a grueling 50-mile ski day with 5,900 feet of altitude changes, dedicated to Austria’s ski pioneers and competitive athletes. There are several checkpoints, and participants get a medal for completing it in a single day. Meet those pioneers and stars in the Museum St. Anton, or just head straight for the MooserWirt, one of the most famous après ski bars in all of Europe, where dancing on the tables in ski boots is a nightly affair. Been there. Done that. Stay: For a traditional Austrian ski hotel experience, opt for the Wellness & Beauty Hotel Alte Post, featuring an indoor pool, separate kids’ pool, sauna, spa tub and ski-in/ski-out access. This C-shaped valley, with Chamonix in the center, offers five separate mountains, linked not by skiing, but by an excellent network of free ski bus service. Ski a different mountain each day, or return to the one you liked so much the day before. Les Grand Montets is the largest and most popular of the group, with the largest variety of terrain, including the Argentiere glacier, and La Flegere is the sunniest, with mostly south-facing runs. Le Brevant is the only one you can walk to from the center of town, unless you include the gonzo route down from Aiguille du Midi, on the other side of town. Aiguille du Midi is one of the highest cable cars in Europe, and lifts passengers to a summit at nearly 12,500 feet that—literally—takes your breath away. Better to watch the gonzos, carrying crampons, ice axes and avalanche gear, make the descent down the glacier than do it yourself. Better to just inhale the view that includes 15,781-foot Mont Blanc, highest in France, take some selfies, and get back down to where there’s some oxygen. There are horse-drawn sleighs in town, excellent shopping and an active après ski scene. Two of the most popular are Elevation 1904, named for the town’s elevation in meters and offering a huge outdoor terrace for watching the sunset, and Chambre 9, next door to one another on the main street. Stay: The highly rated—and surprisingly reasonably priced—L’Héliopic Sweet & Spa features a gorgeous indoor pool, hot tub and spa, and it puts you right near the center of town at the foot of the Mont Blanc tram. At the foot of the Zugspitze, Germany’s highest mountain (9,721 feet), Garmish-Partenkirchen is an ideal destination for snow enthusiasts who don’t do well at high altitudes, since the runs top out at under 7,000 feet. Ski three mountains, Hausberg, Kreuzeck and Alpspitz, on one all-area pass, less than 90 minutes from Munich. Experts head for the legendary Kandahar run, and make believe they are competing in a World Cup race, or even the 1936 Winter Olympics. Snow bunnies can bail out and take a break at the mid-mountain Kandahar 2 ski bar. Visit the Igloo Village, carved out of glacier ice, and an homage to the Inuit. You can stay overnight here, but it’s warmer in town. Neighboring Garmish and Partenkirchen, merged under Hitler’s orders, are actually quite different. 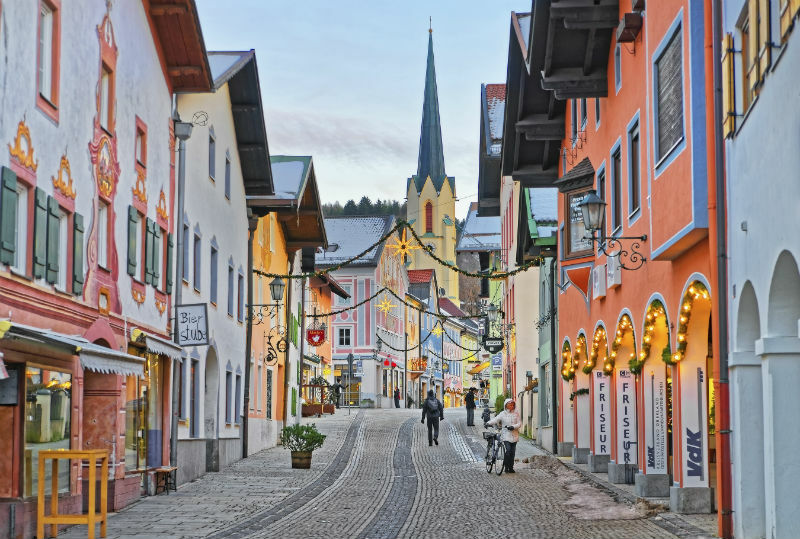 More modern amenities are in Garmish, but the charm of Partenkirchen includes streets laid out by the Romans. Have dinner (and stay the night) at Gasthof Fraundorfer, serving guests since the 1700s, with hand-painted ceilings and walls filled with photos, antlers and other Bavarian tchotchkes, while entertainment includes musicians and dancers in lederhosen. Stay: Hotel & Gasthof Fraundorfer, a traditional Bavarian inn located right on Partenkirchen’s main street, features a sauna and an on-site restaurant serving solid Bavarian fare. ALSO: There’s snow many ways to save money when you sign up for Orbitz Rewards! Wide-open, sunny slopes and not-to-steep terrain makes this a favorite for families and intermediates. The experts head further uphill to ski the Plateau Rosa, or connect to the other side of the mountain, to ski Zermatt, Switzerland. That makes this one of the few places in the world where you can ski two countries in one day on one pass. Cervinia chairlifts are all modern high-speed quads and six-packs, many with “magic carpet” approaches that streamline loading, but which take a bit of getting used to. Bontadini is a popular mid-mountain lunch spot, with a choice of self service (upstairs) and table service (downstairs). Indian Park is Europe’s highest-altitude terrain park for snowboarders, with jumps and rails ranging from an easy one-foot to half-pipes with 12-foot walls. Or, climb the free indoor climbing wall in the Community Center in the Valtournenche area. 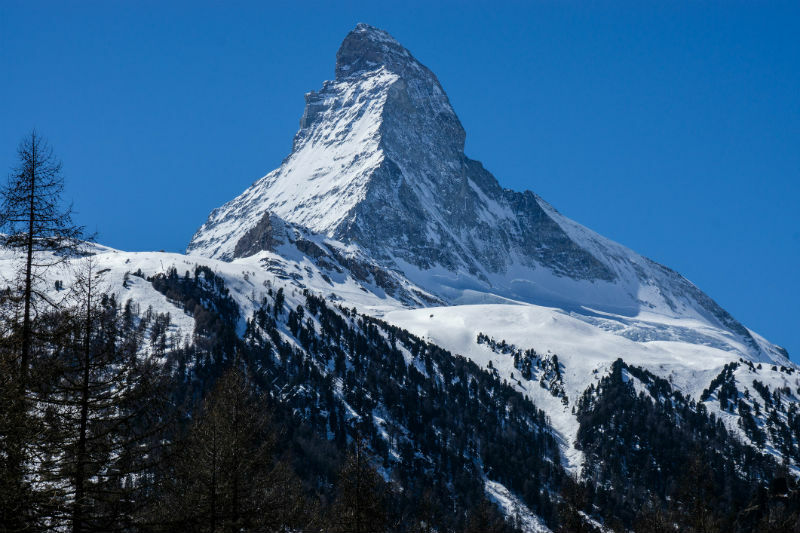 Stay: Get great views of the Matterhorn and easy access to the lifts at Hotel Europa, featuring a spa, indoor pool and free breakfast buffet. Another Olympic “village”—both in 1928 and 1948—St. Moritz offers more than 200 miles of groomed trails, nearly 60 lifts, and the chance to tuck yourself into a bobsled and ride the Cresta run in a couple of heartbeats and a up to 45Gs on the heart-stopping turns. Eighty percent of the runs here are for intermediates. More experienced intermediates can head for the five-mile-long Hahnensee trail, and experts drool over the challenge of Diavolezza/Lagalb. There’s also wide-open skiing on the Corvatsch glacier. 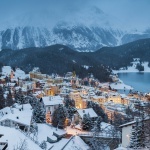 There are two connected St. Moritz villages. The one called Bad (German word for bath, or spa) is less glitzy, less expensive and closer to the Corviglia and Corvatsch areas. 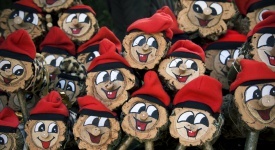 The one called Dorf (German word for village) is the place for designer shopping and non-stop nightlife. Switzerland’s multiple cultures—including German, French, Italian and Romansch—are well represented in St. Moritz restaurants, but a perennial favorite is the purely Swiss fondue. Head to Restaurant Scatla inside the Romantik Hotel Muottas Muragi hotel for one of the best anywhere. 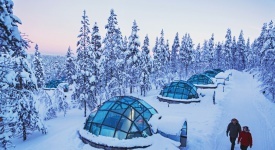 Stay: Access the Romantik Hotel Muottas Muragi via funicular train and you’ll be treated to gorgeous mountain views, a beautiful viewing deck, a toboggan run and free breakfast buffet.